It’s amazing to me how much fitness equipment is out there now. Just yesterday, I had a call with a start-up company that has designed a new piece of equipment which they’ve asked me to test drive. On one hand, I love all the enthusiasm and innovation in the fitness industry. On the other hand, it’s no wonder so many people feel lost and overwhelmed when it comes to working out. If you like all the whiz-bang fitness gadgetry, no problem — and rock on with yo’ bad self. But if you feel completely bewildered by the huge number of options out there, listen up. If you’ve read my posts on this site before, you probably already know that I’m a huge fan of simplicity. So I’m revisiting the good ol’ dumbbells. 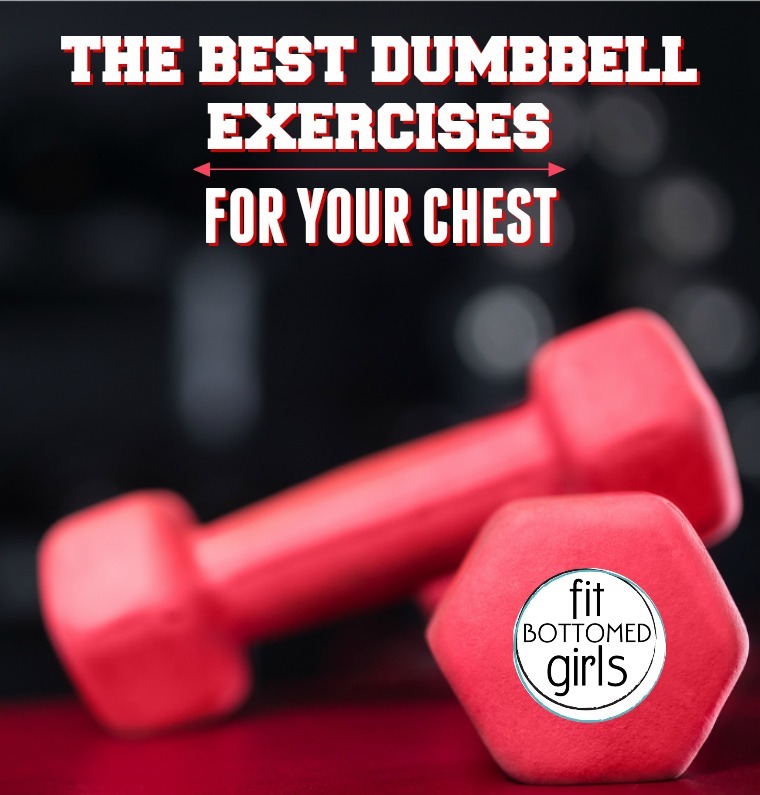 Over the next few weeks, I’m gonna give you the best dumbbell exercises — including a workout — for your every part of your body. 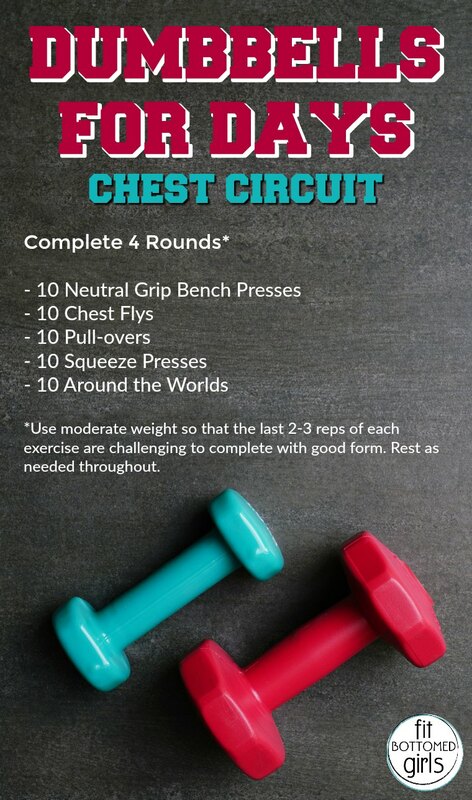 Feel free to use each as individual workouts or mix and match them to get a total body workout. My biggest complaint about working my pecs on chest day is that I need a spotter for the barbell when I bench press. Dumbbells are a great option for those days when I find myself at the gym without my trusty workout buddy, Liz. 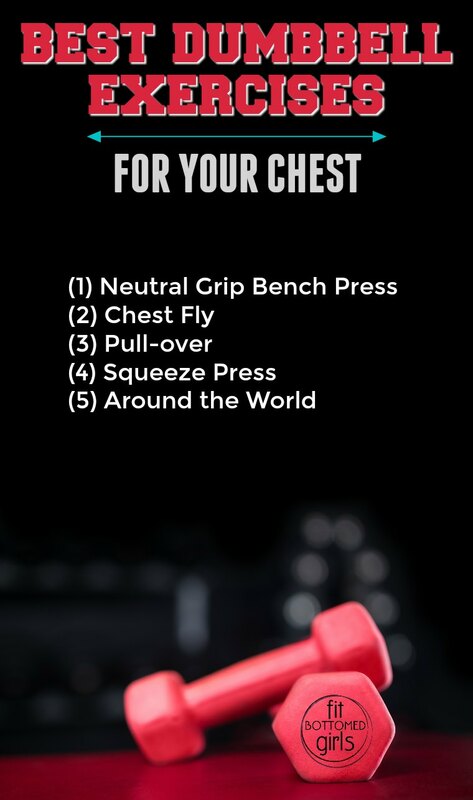 Dumbbells provide a ton more ways to work your chest muscles than just your traditional bench press would and just by changing the grip (which you can’t do with a barbell) you can challenge those muscles in a completely different way. I used a box to lie back on but you could use anything really — a bench, a stability ball, etc. I know exactly what you mean, I hate when I can’t bench when my spotter goes missing. I love dumbbell flies, always have. I’ll be trying the other exercises you’ve mentioned as soon as I can. Thanks for the videos! It’s super helpful. this exercise is actually very effective i tried it and i am gonna also recommend to this my girls. Nice post and nice video its very informative and motivative health is the most important part of life good health only possible if we apply workouts on daily basis thanks for share. Great idea thanks for sharing it.Very good write-up. I certainly love this website. Thanks! Amazing video, its very informative and motivational for me. This exercise is very effective it really helped me but i think 15 pull-over is best for daily. Thanks for this marvellous exercise. Great tips! For me i’m always healthiest when I wake up and workout! That way my workouts done with and I can’t make excuses later in the day, it also motivates me to eat healthy throughout the day! Who have tried these exercises? Are they effective? 2.Amazing speech just became a fan of your thinking! Keep up the good work, these things motivate us to spread the awareness of fitness and telling people the value of their perfect biological machinery which is their body.